We’re excited to reveal the results of another ‘Guerrilla’ user test, this time conducted as part of the London Digital Design Weekend hosted in the V&A Museum in London as the culmination of the month long London Design Festival. We’re extremely proud and humbled by the opportunity to exhibit at one of the world’s leading museums in art and design and enjoyed our time there immensely. It gave us a great opportunity to show off the design changes since our last user test in our home city of Dundee and get some evidence to see if those changes had worked. The event was larger in nature at the V&A, pulling in a record 24,487 people over two days! We also had a much larger and more complex building to deal with, but visitors were curious about indoor maps and were happy to participate in our research. 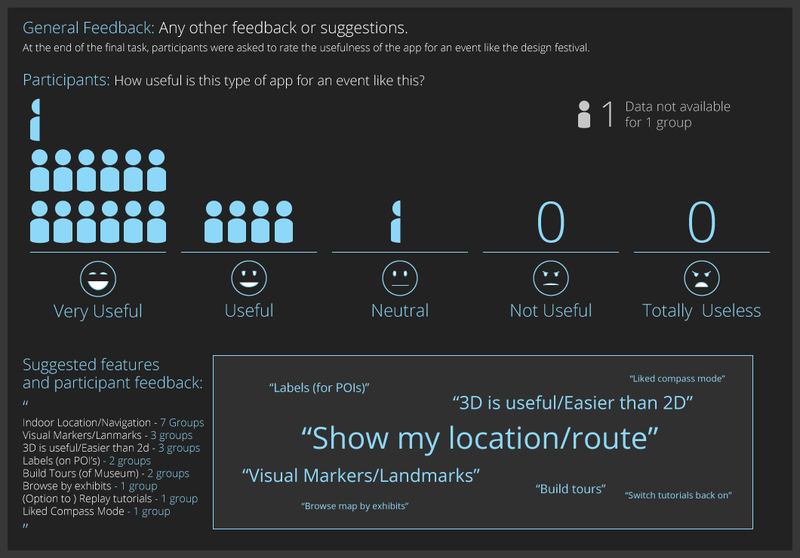 We repeated the user test conducted at Dundee Design Festival to produce directly comparable results to the previous one. This meant that we could evaluate how much impact our design updates had on the problems identified previously. We’ve made changes to the Elevator Control that sits on the right hand side of the screen and a few other on screen elements for indoor maps, to give users a clearer indication of how to navigate our indoor maps. 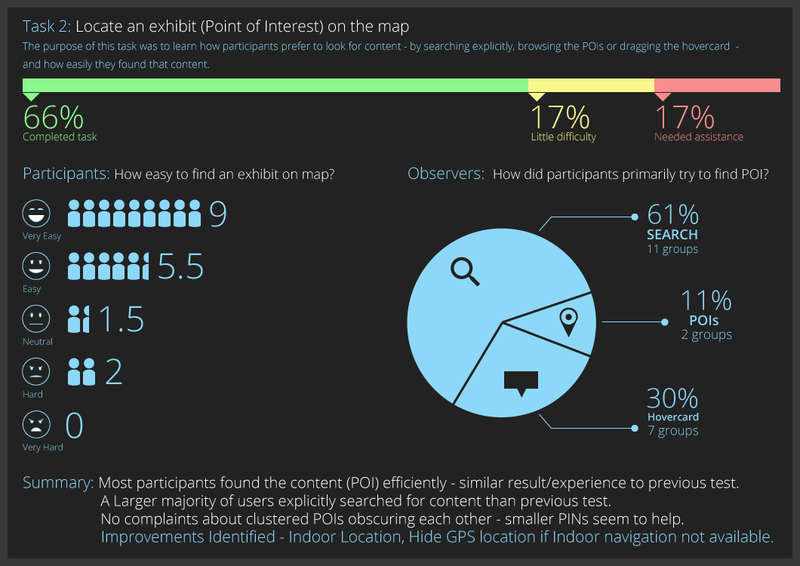 The general feedback and suggestions we collected for eeGeo Indoor Maps in an exhibition/event environment were also really positive and encouraging. Many of the suggestions we received were in line with our thinking for future feature development. Overall, this event was an exceptional result for us and we want to thank each and every person who participated. User-centric design is our guiding principle and we can’t thank you enough for contributing to our process and product design! We will continue to do more collaborative user research in the future so keep an eye on our social media if you want to take part.